The level lifetimes of the yrast 21+, 41+ and 61+ states and an upper limit of the lifetime of the 81+ state in 46Ti have been measured with high accuracy exploiting the recoil distance Doppler-shift method (RDDS) and using \(\gamma\gamma\) coincidences. 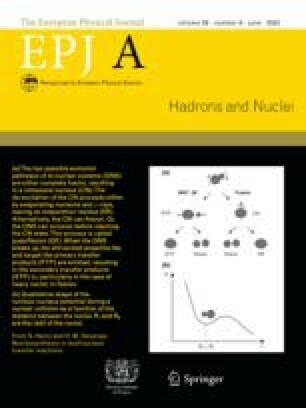 The nuclei were populated by the fusion evaporation reaction 40Ca(9Be, 2p1n)46Ti at a beam energy of \(E=33\) MeV at the FN tandem accelerator of the University of Cologne, Germany. Lifetimes were extracted using the established differential decay curve method (DDCM).